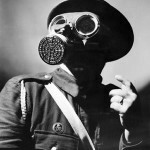 The reality of an impending war first came home to most of the people of Britain in the form of a standard issue gas mask in a plain cardboard box. 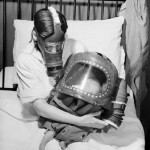 The effective distribution of 38 million gas masks in 1938 and 1939 meant that when the war broke out nearly the whole population was prepared for a gas attack. 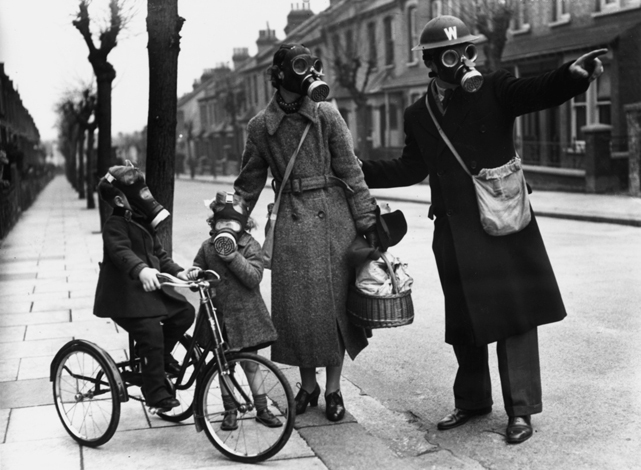 The people carried gas masks for months, but when no attack ever came, the practice declined, especially outside the bombed cities. 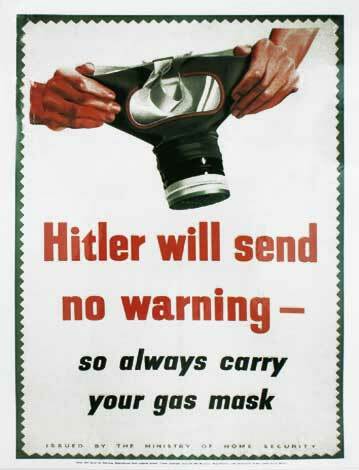 During the Munich Crisis (September 1938) the government of Prime Minister Neville Chamberlain stepped up its efforts to recruit Air Raid Precaution wardens and to manufacture and distribute gas masks. 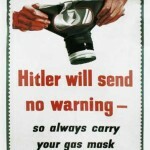 For most Brits their gas mask was the first clear sign that the government was preparing for war. 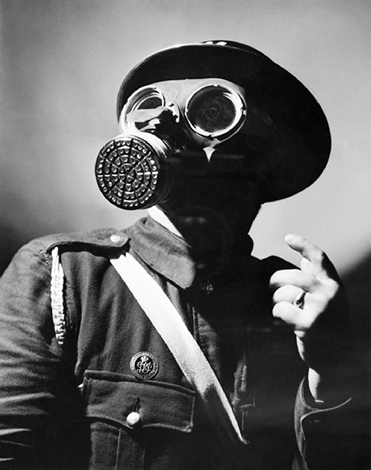 In the village halls of most towns, or by going door-to-door, the local air raid wardens would distribute the newly arrived masks, and fit them to each individual. Since trained wardens were few, at first, they were aided by Boy Scouts, the Red Cross, the Women’s Volunteer Services, and even, in one place, by prisoners in the local jail. 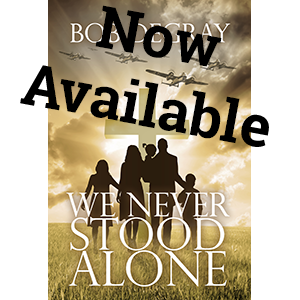 The resulting distribution was as nearly universal as anything could be on such short notice. 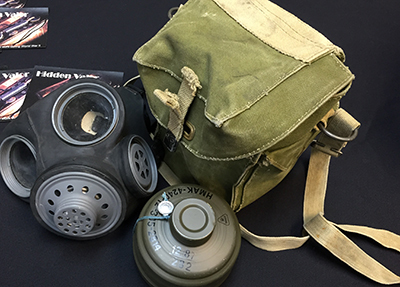 By the outbreak of war, everyone except the very young had received a civilian-type respirator, to give the gas mask its official name. Those likely to be exposed to a heavy concentration of gas, like the decontamination squads, were issued with the military-type mask, with its heavy twin goggles and rubber tube leading to a metal container carried in a haversack. 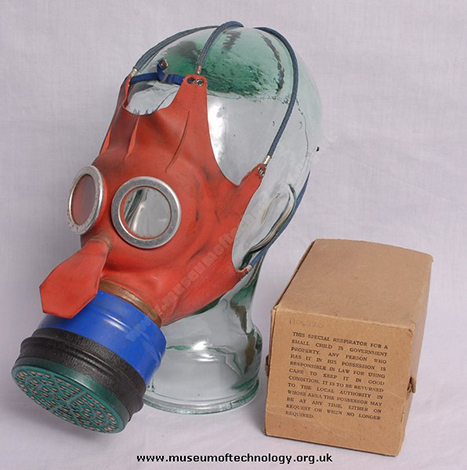 Other Civil Defense workers proudly carried the ‘Civilian Duty’ mask, with separate eye pieces, a large can-shaped filter at the front, and a rubber earpiece at the side, to enable the wearer to telephone. The ordinary citizen’s mask, said to cost the country a modest half-crown to manufacture, was a simpler version of this with a smaller filter and a single transparent panel over the eyes. 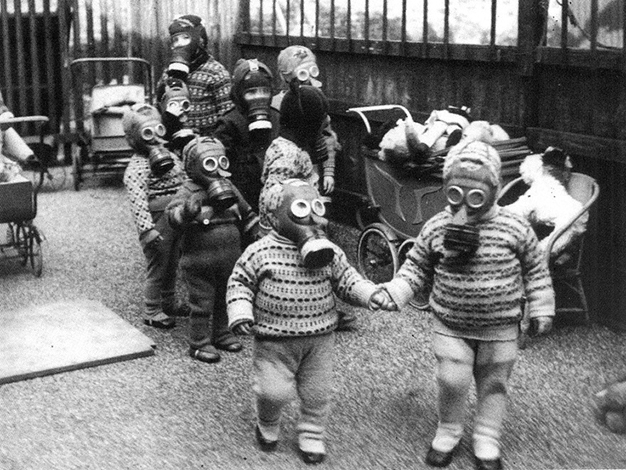 For toddlers below school age, only the ordinary adult type masks were available at first, but by January 1940 the government had issued two million special ‘Mickey Mouse’ masks. 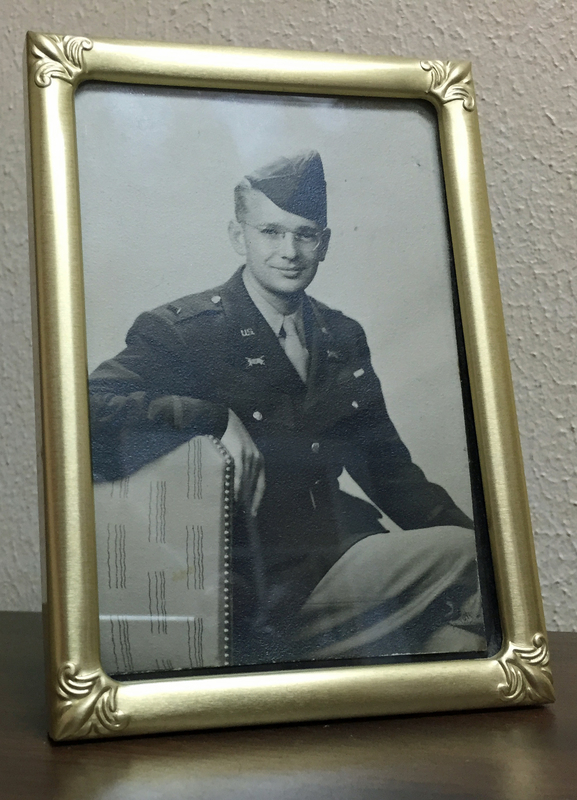 These red and blue masks had big ears and resembled the famous cartoon character. 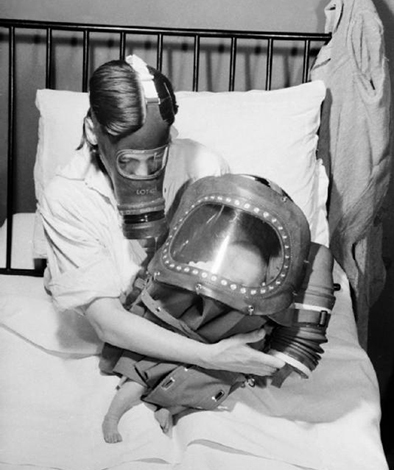 Babies wore a special gas helmet, a rubber and canvas monstrosity built around a metal framework with a large mica window at one end. The baby was thoroughly strapped in and sealed, and the mother had to pump air through a bellows to keep the child alive. 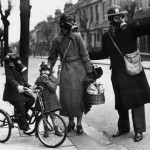 A Mass Observation survey on the fourth day of the war showed nearly 70 per cent of the population carrying their masks in London, with another 30 per cent carrying containers that might have held masks. In Bolton, presumed a safe area, the number was already only 14 per cent. 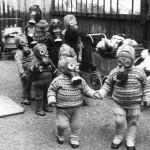 As early as October a keeper in a London park was being jeered at by boys for carrying his mask and that month the government admitted that it was no longer necessary to carry a mask everywhere in reception areas, though it was not until 1942, when the need to save rubber became paramount that a similar concession was announced for danger areas. 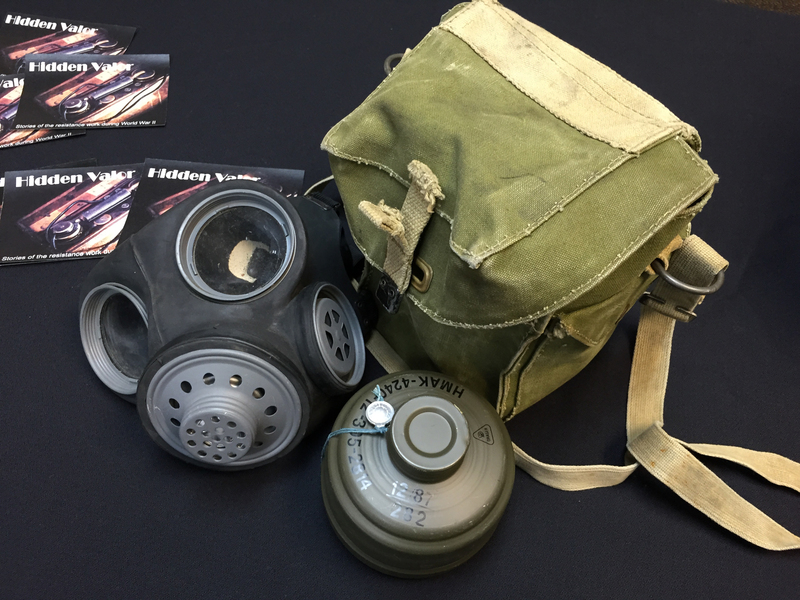 Note: The British version of E-bay, one of the primary sources of WW2 memorabilia, recently banned the sale of WW2 gas masks because the filters contain asbestos. My filter is still sealed, and I don’t intend to open it, but if you do ever get to play with a gas mask, please be cautious.